Education technology presents exciting new opportunities for students, teachers, and schools, but it also exposes young people to serious new risks. We must ensure that we both enable students to benefit from this technology and protect their privacy. 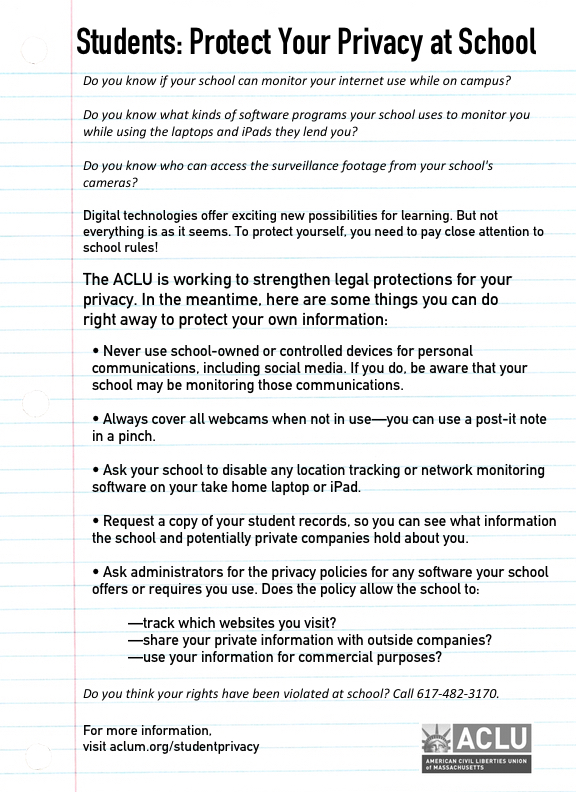 That’s why the ACLU of Massachusetts aims to carefully examine and advocate for effective policies, regulations, and laws governing youth privacy where technology meets student information. Follow the conversation on Twitter at #studentprivacymatters, #studentdata, #edtech and #eddata.